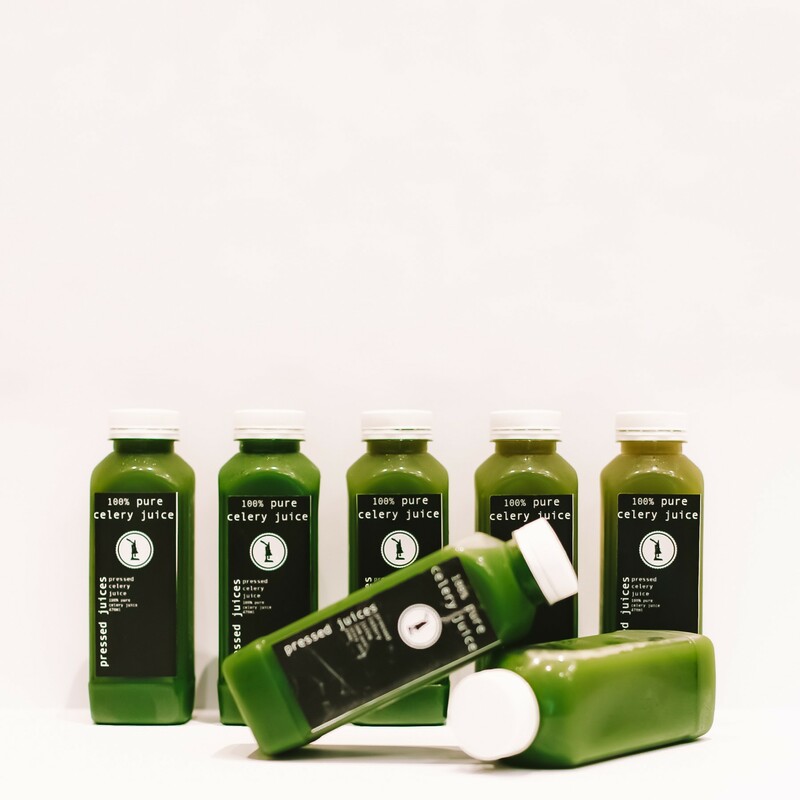 WHAT YOU WILL RECEIVE: 7 x 16 ounce bottles of 100% organic celery juice on ice, made fresh and made with fresh Australian produce. Labelled 1 - 7, consume one bottle of celery juice every morning on an empty stomach before starting your day and reap all of the nourishing benefits. Celery has so many incredible health benefits that are only magnified by juicing. Not only is celery high in vitamins and minerals, but it is anti-inflammatory, detoxifying and gut-friendly. HCL – otherwise known as stomach acid – helps to break down the foods you eat, specifically proteins. But when levels of HCL are low – which can happen if you have an autoimmune disease or are chronically stressed – you’ll experience some uncomfortable symptoms like indigestion, acid reflux and even IBS. Celery contains some important minerals and mineral salts that can help boost digestion, absorption and utilization of the food you eat for the remainder of the day. Plus, when consumed regularly, celery juice can help to gradually increase and restore your stomach’s HCL levels. Celery can also help to boost production of important thyroid hormones in those with hypothyroidism. Celery’s detoxifying properties work to remove bad bacteria, fungi, mold, viruses and other toxins from the liver; the phytonutrients found in the green stalks also can have a protective effect. Studies have shown that celery extract consumption can help to prevent stroke, lower blood pressure, and reduce plaque in arteries. Celery is a powerhouse for supporting the nervous system. It has a calming effect on the nervous system because of its detoxify properties. It also provides support through its ability to act as a blood purifier. Celery contains luteolin, a potent flavonoid, that can act as an antioxidant and calm inflammation. According to the author of 'Medical Medium', "Fresh celery juice is one of the most powerful and healing juices we can drink. Just 16 ounces of fresh celery juice every morning on an empty stomach can transform your health and digestion in as little as one week."